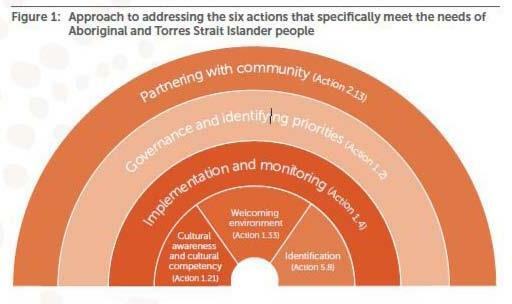 Why have Aboriginal and Torres Strait Islander–specific actions? The unique and diverse cultures of Aboriginal and Torres Strait Islander people. The current poor health and wellbeing of many Aboriginal and Torres Strait Islander people stems largely from the effects of colonial policies and their ongoing legacy. These policies have resulted in loss of land, family and community connections, and denial of free cultural expression and growth across generations. They affect the physical, emotional, social and spiritual dimensions of wellbeing for Aboriginal and Torres Strait Islander individuals and communities. The continuing impacts on health and wellbeing are evident in the unacceptable gaps between Aboriginal and Torres Strait Islander people and other Australians in health outcomes, including infant and child mortality, disease burden, and life expectancy. Significant barriers to accessing effective and safe health care contribute to these gaps. Therefore, it is important that people experience safe and high-quality health care based on need. Meaningful, lasting relationships with the Aboriginal and Torres Strait Islander community are integral to redressing past wrongs and moving towards an equitable healthcare system for all Australians. 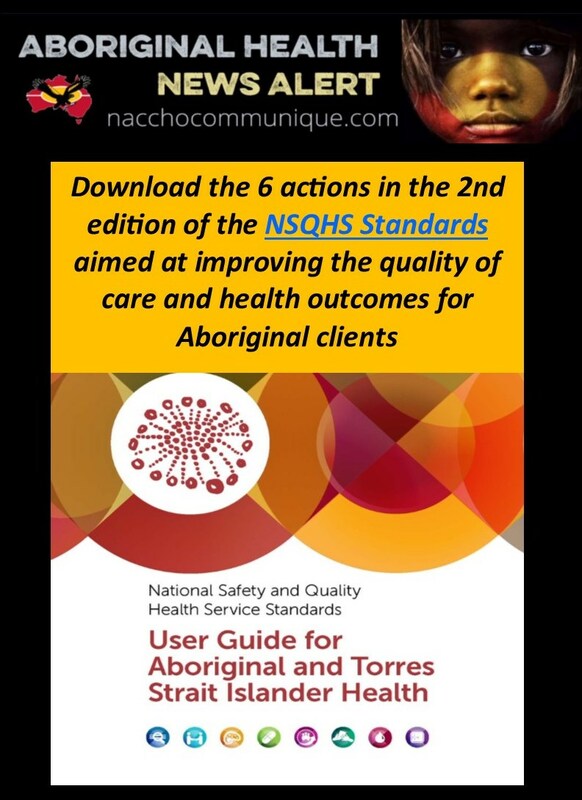 The project considered the safety and quality issues typically affecting care provided to Aboriginal and Torres Strait Islander people in health services, and investigated how the NSQHS Standards could be used to leverage improvements in the safety and quality of care provided to Aboriginal and Torres Strait Islander people in mainstream health services. Closing the Gap4 in Aboriginal and Torres Strait Islander disadvantage is a national priority that the Australian Government and all state and territory governments are committed to addressing. It is the responsibility of all health service organisations to consider and action their part in closing the gap in health disparities experienced by Aboriginal and Torres Strait Islander people. Altyerre (A), Jukurrpa (W), Tjukurpa (P) or Tjukurrpa (L). The religious interpretations of the profound bonding of people to one another, to their country and to the species of animals and plants inhabiting it. It is continually renewed by its expression in song, dance, verbal narratives of creation stories and re-enacted continually in ceremonial journeys. • Walytja (L, P) or Warlalja (W). The system of extended kinship; the organisational scaffolding for social roles and authority; the pathways of distribution and communication. • Ngura (L, P) or Ngurra (W). Country to which people belong; which they may use; always subject to the obligations of looking after it and care …; including its celebration. It is important to note that each language group has its own unique values and belief systems. Therefore, if a health service organisation is to provide effective care to its local Aboriginal and Torres Strait Islander people, or the communities that regularly access care, it will need to understand the diverse cultures and values of the people in the organisation’s catchment and of the patients using its services. A literature review of relevant evidence based strategies to improve the safety and quality of care for Aboriginal and Torres Strait Islander people. A series of guides to drive best practice care for Aboriginal and Torres Strait Islander people has been developed based on the NSQHS Standards. The next stage of this project is now underway which builds on previous work and again aims to improve the safety and quality of health care provided to Aboriginal and Torres Strait Islander people in mainstream health service organisations using version 2 of NSQHS Standards. Improve the Aboriginal and Torres Strait Islander cultural awareness skills of the surveyor workforce whose members assess health service organisations to the NSQHS Standards.